It’s a proven fact when you cook at home vs eating out or ordering in, you can save an incredible amount of money. When I started to plan our dinner meals ahead of time I also found it helped us waste less. By planning, I could ensure I used what we had on hand to create meals, and then whatever else we needed to finish the meals would be put on the shopping list. There is nothing worse than overbuying, or having food go bad in the fridge, due to being unorganized. 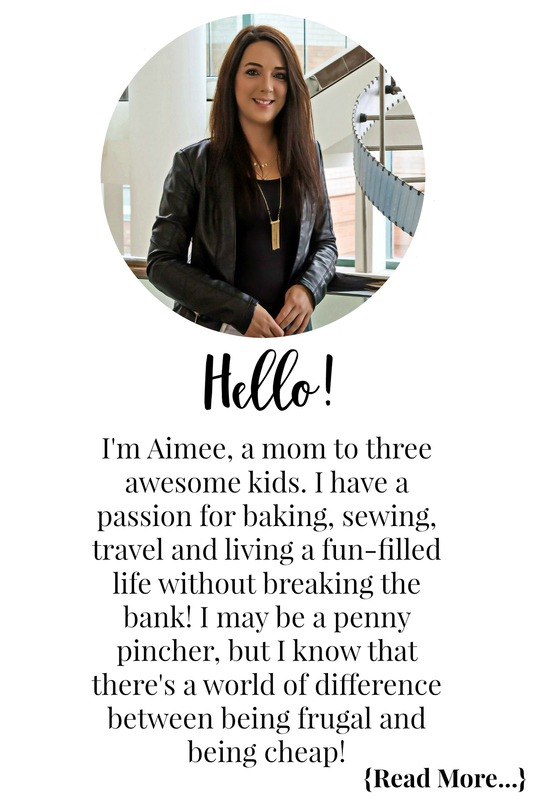 If you want to save money with meal planning, I have some tips to help you be successful. Always check to see what meat and vegetables you already have first and start to build your meals. Build and finalize other meals based on what is on sale at your local grocery stores. Plan meals that can double as lunch for the next day using leftovers. Build meals based around seasonal produce and sales. Utilize coupons and rebate apps to save additional money. Include the family in meal planning, this ensures everyone will eat what is served. Make Sunday your prep day. Spend an hour chopping veggies, marinating, and prepping your meals for the week. This will keep you accountable to make the meals while cutting down the time you spend cooking each night. Sometimes you will need or want a break from meal planning. There are great companies out there that do this planning for you such as Hello Fresh. You choose the 3 meals you want, they do all the prep work and then deliver it to your door ready to cook. While these services aren’t as cheap as doing it all yourself, they send perfectly portioned meals based on your family size which leads to less waste! Utilizing a service like that leaves you with 4 meals each week to plan, shop for, prep, and cook. If interested in trying out Hello Fresh you can click through the pink Hello Fresh text and use any of the codes below. 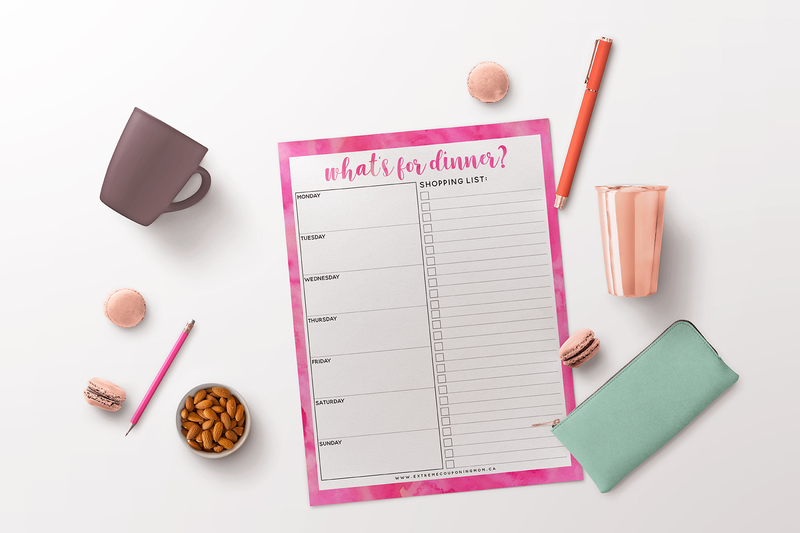 Use this simple free printable weekly dinner menu & shopping list to help you get organized, save money, and waste less! 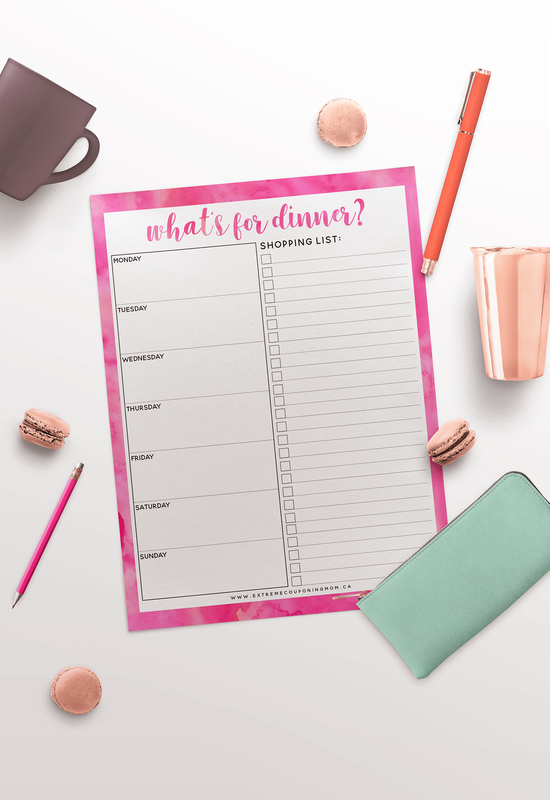 Click the button below to download and print your free printable weekly dinner menu & shopping list!